I have been busy getting things ready for the holidays creating ornaments, making special orders and working on a few new gallery pieces. 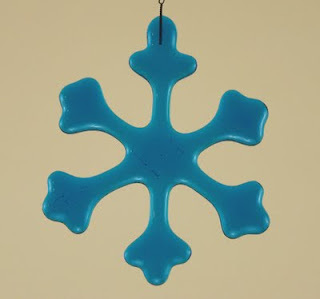 This year my first round of ornaments are the blue snowflakes. I have also made assorted color wire wrapped stars. No photo of the stars yet. The Jazzamataz event at Artavina Gallery was a success. It was a great turnout, I'm so glad to see all of you that made it out to listen to the music and buy some art. Some awesome art pieces were raffled off as well. Hope to see you at the next annual Jazzamataz.